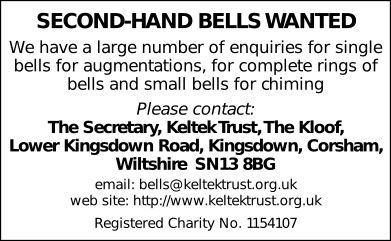 This performance is linked to the events Bellringers Strike Back Against Blood Cancer (SBABC) and Grand Tour 2017. Last updated Monday, 9 January 2017 at 17:43:24. First submitted Monday, 9 January 2017 at 00:52:39 by Ruth Curtis. Sent for publication in The Ringing World on Friday, 7 April 2017 at 09:49:46. This performance has been viewed 1522 times.